Design By Humans uses both Screen Printing and Direct-To-Garment printing to bring you the best possible prints. 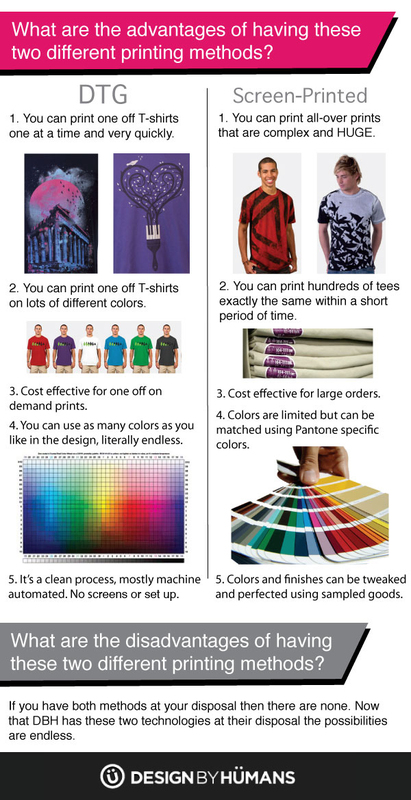 For those of you who are new to DTG (Direct-to-Garment) printing, please note that colors will not always print as vibrantly as displayed in the art. This is due to printing directly to a matte surface medium such as the fabric of a t-shirt as they look on your color-corrected monitor. 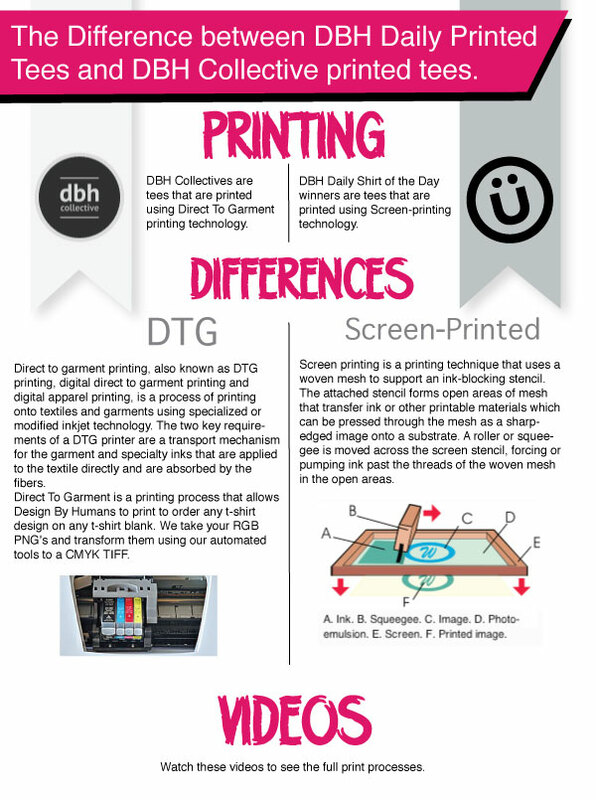 You can read the Blog Post written by our Creative Director explaining the differences between Screen Printing and DTG if you would like additional information.